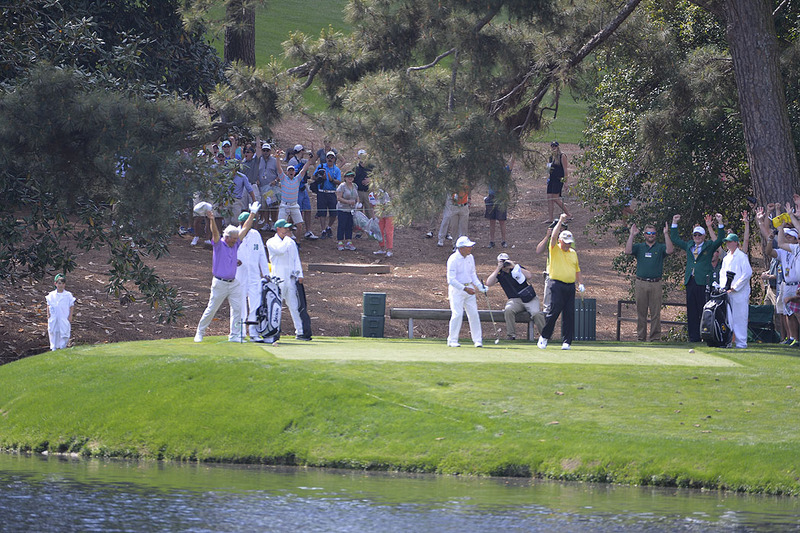 Six-time Masters champion Jack Nicklaus was at Augusta National for the 79th Masters Tournament. 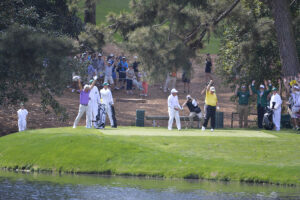 On Wednesday, he took part in the Par Three Contest with fellow champions Ben Crenshaw and Gary Player. 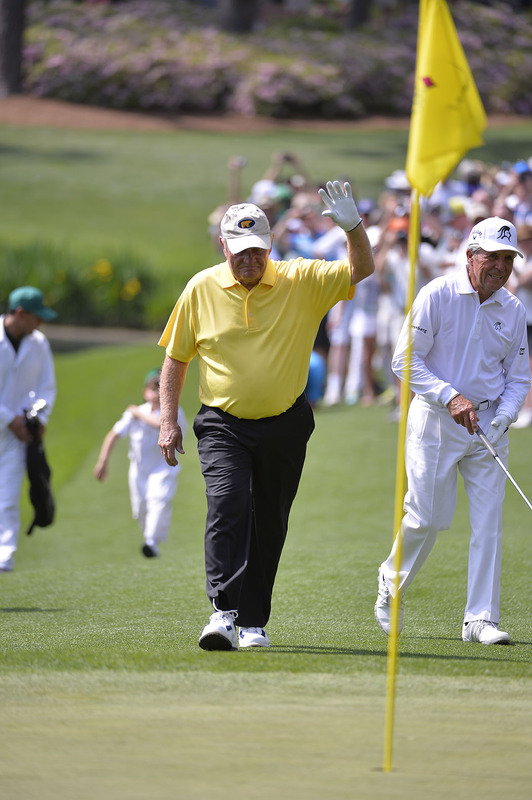 The Golden Bear, backed by caddie Stevie Nicklaus, 15, shot his first hole-in-one at Augusta National and the 21st of his career. Photographs courtesy of Golf Digest.